Presiding: President Doug asked Bob Sorensen to lead us in the pledge. The invocation was presented by Ray Giampaoli. 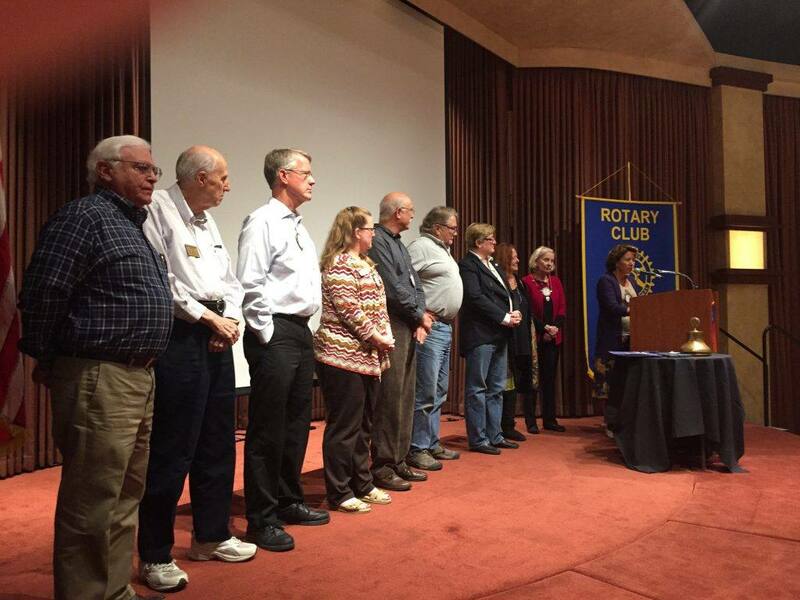 Kathy Schwartz reported that there were no visiting Rotarians present this day. Today’s guests were PP Mark Burchill’s wife, MeL Konrad, speaker Jim Connors and Julia Parranto’s spouse, Rose Frances. This became a very sad day for our club as Eileen Carlisle announced that Herman “Nick” Knickerbocker has passed away unexpectedly. Nick was a beloved and dedicated member of our club since 1994. Nick could always be counted on as a hands on volunteer at our club, but his humble and quiet nature belied his incredible backstory. Nick had been a military pilot, serving in Korea. Afterward, he embarked on a career as a test pilot for the McDonnell Douglas Corporation. Nick literally risked his life on his job testing new aircraft. In one astounding black and white video, you can see his bravery and resourcefulness in action as the plane he was testing went into an uncontrolled spin and was literally falling out of the sky. As the plane tumbled toward earth, Nick was busy trying various actions to save the plane and himself. He finally performed a counterintuitive maneuver (after trying everything else that actually made sense, he once told me) and pulled the plane back skyward. We are saddened by Nick’s passing, but we are happy and blessed to have known him. As of press time, we do not have any information about services. Cathy Vicini read a very poignant poem entitled A Pilots Prayer. Tony Roehrick conducted the raffle that brought Yale Abrams up for a chance to win $352. Lo and behold, Yale, like many before him, came up with just a consolation prize of $10. The pot continues to grow each week – you cannot win if you do not play! 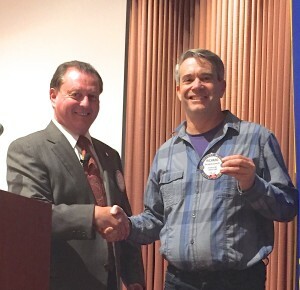 Richard Lazovick completed all of his requirements to become a Blue Badge member. Welcome into the fold, Richard! Diane Moresi announced that on Wednesday, October 28th we will have a training session for the New Gen Peacebuilders. Training starts at 8:30am in the Oak Room across the lobby at the Flamingo. Please be prompt. 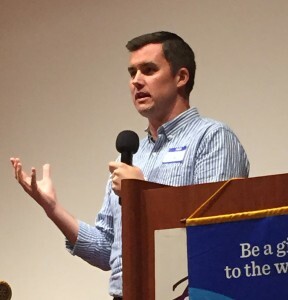 As has been our custom of recognizing those club members that gone above and beyond in their service within the club, Sam McMillan is this month’s recipient of the Rotarian of the Month recognition. Most recently Sam was responsible for purchasing a lamb & a pig at the Sonoma County Fair, then getting the animals dressed for sale at a club social. President Doug cited a few Rotarians for their misadventures. Sam McMillan recently was on an elk hunt in Craig Colorado. Sam offered a $100 donation to the Club Foundation. John Poremba was asked to relate the number of different countries he has visited recently. The list is quite long and likely very challenging. John’s goal is to visit every country in the world and from the sound of it, he is well on his way. John contributed $100 to the Club Foundation supporting the Veterans fund. Eileen Carlisle asked to be recognized as she wanted to start a foundation scholarship in Knick Knickerbocker’s name with a $100 donation. This set off a chain reaction of numerous club members wanting to join in this tribute to Knick. When the dust settled, fifteen members donated $1,420 to start this fund. Great response, Rotarians! Kim Graves, in her initial role as assisting Vickie Hardcastle, presented Paul Harris awards to the following Rotarians: Jack Abercrombie, Tim Delaney, Fred Levin, Craig Meltzner, Robby Fouts, Eileen Carlisle & Julia Parranto. Thank you, Rotarians for your continued support to Rotary International. 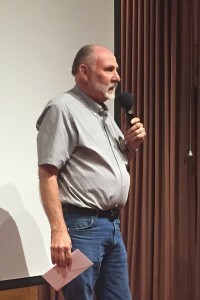 TEDx Sonoma County 2015 was the subject of today’s speaker, Jim Connors. While most in the club are familiar with TED TALKS, the Sonoma Country Day School will be the site of TEDx Sonoma County. Learn more about TEDx on Saturday, November 7th at The Sonoma Country Day School food & wine reception. The program is entitled TRENDING NOW – Our digital lives and how we live them.